Two years ago in the spring of 2011, The Favorite Son brought home a story he wrote at school during some sort of free learning time. The story was contained in a book which had a light blue paper cover and the interior pages were wide-lined primary paper. The name of The Favorite Son's book was Sometimes, My Dad and Me. On each of the five pages in his book was a one sentence description of how my then first grade son viewed is relationship with me. For example, on one page he'd written, "Sometimes, my dad and me, sometimes take a walk." Another read, "Sometimes, my dad and me, sometimes read to each other." When I read the his little book, I was overwhelmed. The Favorite Son's story was so honest and innocent and beautiful, my first thought was, "What a nice children's book this would make." A few days later, I put The Favorite Son's book into a Word document, edited the grammar, added a couple of more pages, and renamed it Sometimes, My Dad and I. I showed the "manuscript" to The Favorite Son and asked him whether he thought we should publish it. He said, "Yes." For more than a year, the manuscript remained on my hard drive and on a couple of back-up drives while I focused on a couple of other projects, namely, The Single Father's Guide to Life, Cooking, and Baseball. Later in 2012, however, I moved Sometimes from the back burner to the front. Using Facebook, gMail, LinkedIn, and other social media, I started my search for an illustrator. I'd received a number of inquiries, spoke to several artists, and finally settled on C. Pierson DeCesare, or as I know her, Catherine. She and I worked out the business details, I told her my vision, and she went to work creating beautiful and unique watercolor illustrations. For the design, I worked with the father of one of my good Warwick, New York friends, Tom Lennon, who'd also designed The Dream Seeker. 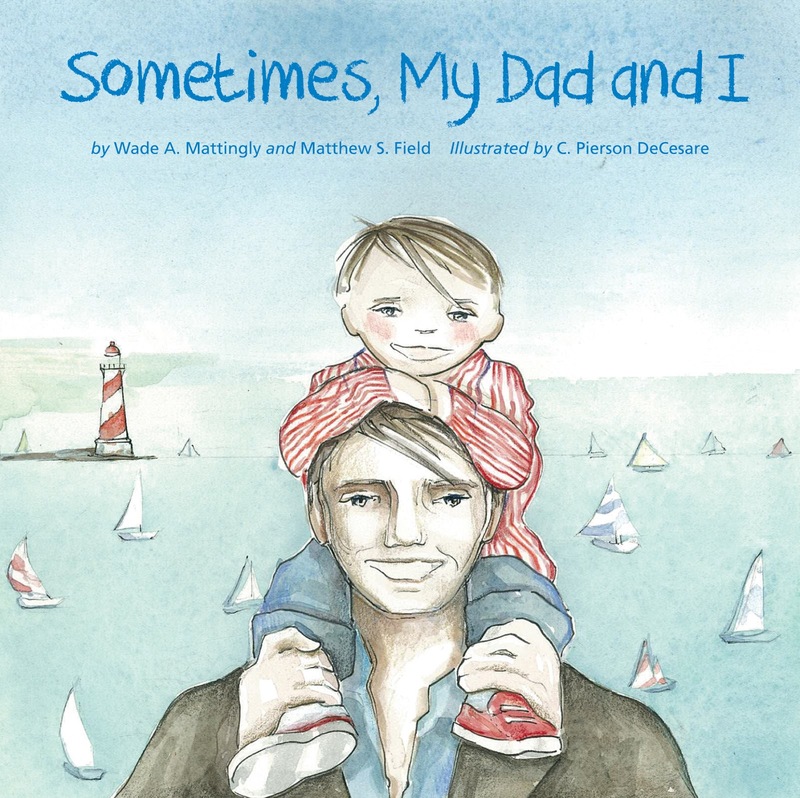 In time for Father's Day 2013, Sometimes, My Dad and I, the true story of a little boy's perception of his relationship with his dad, will be released. For more information, check out the Sometimes, My Dad and I on Facebook and become a fan. To obtain a media review copy, please contact Tom Mattingly at Matting Leah Publishing at 845-987-2807.